SAM POWER is a name Australian racing fans may remember from his time at the pointy-end of the field in Australian Formula Ford and Porsche Carrera Cup between 2011 and 2014. The affable South Aussie driver was always quick behind the wheel and was always, and remains, a great chat when not racing. As it turns out, his post-driving career has seen him utilise those public speaking skills in one of the most intimidating environments possible – announcing a Grand Prix podium to an international audience of over 500 million people. PODCAST: Lunch with… Sam Power. Speaking to Richard Craill in the first episode of The Race Torque’s new Podcast, ‘Lunch with..’, Power tells the story of how he was seconded in at the last minute to emcee the podium of the 2017 Azerbaijan Grand Prix in Baku. Now based in London and firmly entrenched in Formula One’s corporate sphere, Power works with guests and fans to ensure they enjoy their F1 experience – and was doing so as the dramatic Baku race unfolded that year. Little did Power know that the regular and famous voice of Formula One’s podiums, Bob Constanduros, was unwell and actually not at the race. F1 needed a replacement voice and somehow settled on the lanky Adelaidean with curly hair. “It was a rather extraordinary set of circumstances,” Power told The Race Torque with typical understatement. “Bob was unwell and I was none the wiser, I didn’t know that was the case. It was about 30 minutes until the end of the Grand Prix and I get a radio call and it’s Alex Molina, who’s the exceptionally well dressed man on the podium at each race. “He gives me a call and says ‘can you come to my office.’. Alex is nice and short with words – and I didn’t get to say thing, just hung up and walked to his office. 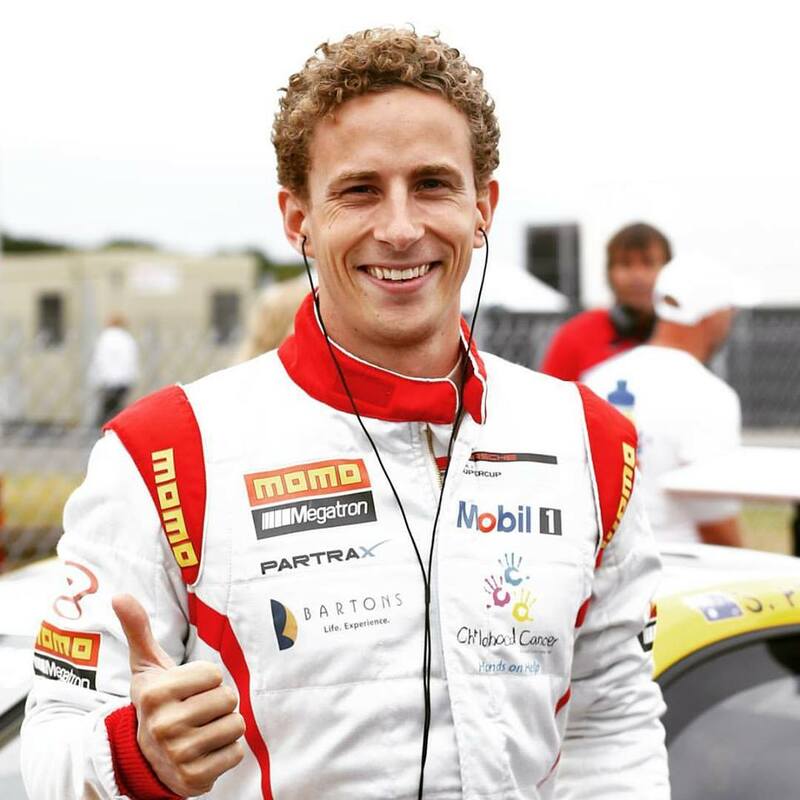 Sam Power in Porsche Supercup during the 2015 season. “He said ‘Read this,’ and he hands me a piece of paper. “And then he said ‘You’. I said ‘Ha-ha, good one’, but he said ‘I want you to do it.’. “The race was about to end in 15 minutes and we’re in Baku, in Azerbaijan and I don’t know if anyone here is privy to the ministers and the lengths of their names in Azerbaijan..
“I’ve never been a particularly strong reader and I was looking at these last names and had a minimum of six or seven syllables and an impressive string of consonants before any sort of vowel, so I was fretting a bit! I was told one of them was in charge of an army, I think It was the defence minister! “I put the headphones on and a wonderful man, Jonathan Nicholas in Formula One, is the producer. His calming voice was on the other end and said ‘G’day Sam, really easy, all you need to do is stick to the run sheet and off you go’. 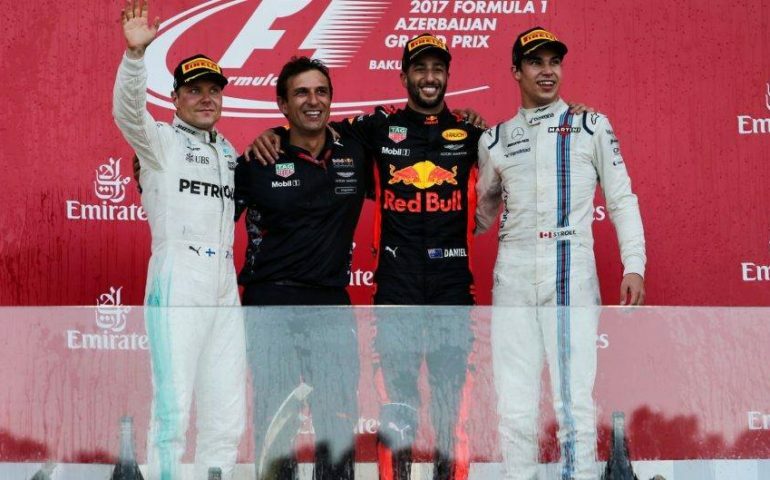 Thus, as the audience watching in Australia enjoyed a thrilling victory by Daniel Ricciardo, several in the industry early that Monday morning picked up on a different, definitely Aussie-sounding accent being broadcast around the world. “I tend to wing things and I got about a quarter of the way through the sheet and basically just started doing what I thought would be a reasonable way of introducing people to the podium,” Power explained of his unique podium style. “I got to announce Dan and that was a very special thing. It was a mental race and I announced him as ‘Dan the man Riccardo’ which, I was later told, was in breach of decorum or something like that! The 2017 Azerbaijan Grand Prix would prove to be a one-off experience, with the voice of Formula 1 recovering for latter races in the calendar that year. Not something Power was overly upset with, either. Sam’s story, that began in simulator racing and saw success in Formula Ford and Porsche racing, is the first to be documented in our new podcast series, produced by The Race Torque and hosted by our fiends at Mypodcasthouse.com. In a relaxed chat over lunch, Sam tells his unique story, talks his F1 experience and how he’s transitioned from racing driver to corporate guru attending just about every race on the F1 calendar. It’s an entertaining half-hour chat – listen at the link below!